On a weekend in January, I had the privilege to attend my first United Adoration songwriting retreat in Mountain View, CA, nestled in Silicon Valley. I haven’t had a worship experience quite like this before, in which I felt peculiarly connected to the present (and to the Present One), offering to God in the form of song what was my current emotional state, and sharing that song in worship with my fellow songwriters. I’ve been in a season in which I find myself insatiably and sometimes, if I’m honest, despairingly hungry for the Lord’s presence. To that end, it was a spiritually nourishing weekend. 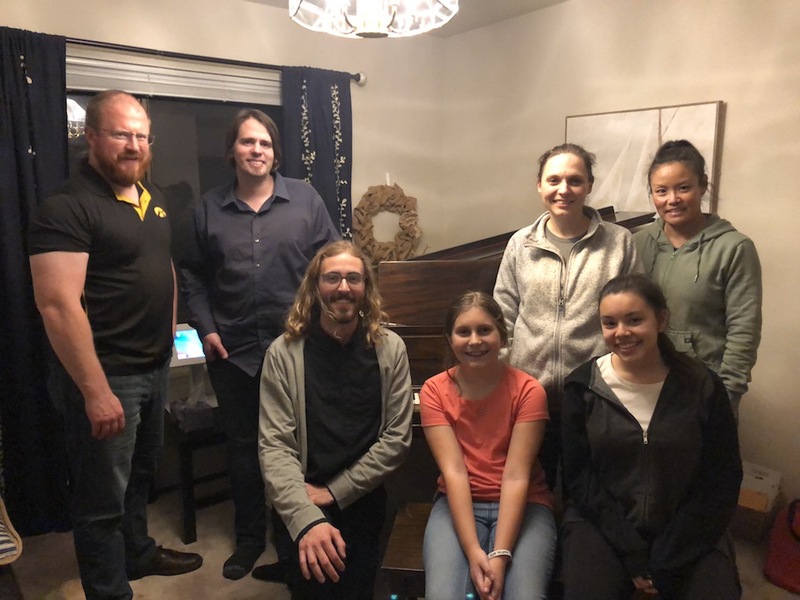 As co-founder Dave Frincke welcomed us in prayer for our retreat, we sat still in watchful expectation for what songs the Lord would inspire, and the palpable presence of the Holy Spirit rested heavy on us like a wool blanket. After prayer, we broke off into creative free-time, and motifs and melodies rang in each room of the house of our host family. Leaving the retreat house, I went for a brisk walk around the neighborhood to pay attention to my thoughts and hopefully run into some inspiration. I had finished writing a song the week before the retreat, a prayer, “Come to me,” longing for the presence of the Lord. If only now He would come to me again with His guiding Wisdom and His inspiring Spirit, I could sing a new song, but until then, I’d be struggling to wrest this creative block from within me. Back while we were praying, we were invited to read in silence a collection of liturgical prayers centered around Easter. Maybe the Lord will give us new songs for this Easter, and maybe these prayers will help inspire us. I was struck by this prayer of confession: “Like Thomas in the upper room, we are slow to believe. Lord, have mercy.” As rumors of Jesus’ resurrection were circulating, Thomas still having not yet seen the risen Jesus, became more and more desperate to see Him and believe; so as my night came to a close, and not yet having much to show for a song, I found myself more and more desperate for the Lord to come to me with His inspiration. And that became my song, “Oh, that I may see Him, the risen Jesus,” a song I look forward to sharing with you all this Easter. We have great songwriting retreats coming up!